It’s been a weird month for me but a better month! It’s taken me a while to get my focus back with everything going on, but happily, it’s coming back slowly but surely. And let me tell you, I couldn’t be more happy with things changing for the better again! Most of you know I had been signed off with stress after being battered with various happenings in my life. My brother, Michael, is now out of hospital after his 3 major surgeries and is getting back to normal. And I’m back to work, on phased return at present but it still feels good to get back in the saddle. 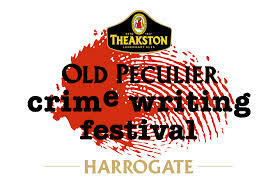 On recommendation from, well pretty much everyone actually, I still attended Harrogate Crime Festival from 17-20 July, and I am so glad I did. Last year was fab as I got to meet lots of new people and attend lots of panels etc. If anything this year was even better. I battled through the couple of panic moments, made new firm friends with several people who I only knew previously through facebook, and met up with old friends for a good natter. My highlight panel for the festival was attended Linda La Plante’s on the friday morning. She is an absolutely hilarious and well-achieved woman, such an amazing sense of humour – she had the audience in stitches from start to finish. I came away with multiple books courtesy of the festival and also via promotions such as Dead Good books. I can’t describe the atmosphere at this event – it’s the perfect venue for writers and also readers as everyone is so friendly and approachable. It was definitely worth the panicky moments and was lovely to meet everyone. It also gave fantastic opportunities as I managed to pitch to an agent who asked to see my work, and also to a great publisher, Caffeine Nights, so fingers crossed that one or both of them love my work! Aren’t cars just pure money pits? Mine has been hammered this year with 4 trips to Scotland, my usual day to day usage and various travel days out for research purposes but I still didn’t expect a repair bill of over £500!! Still, I need the car and I haven’t really paid for a great deal since I got it a few years ago – and it is the most reliable car I’ve ever had. So repair bills aside, it’s worth it. On the writing front, I had been suffering from what can only be described as writer’s block, though I hadn’t actually had time to sit down and write over the last couple of months so perhaps it was just life in general. This however, has also started to rectify thank goodness! Don’t know about other writers, but for me writing is therapeutic, and not being able to do so has no doubt increased my stresses. Last week though, I hand-wrote a few hundred words, granted it was a scene for book 4 as opposed to book 3 which I’m working on but any writing is good writing! Then this week, I reread my third novel from the start to refresh my memory and last night managed to write another thousand words whilst on my lunch break at work! Need to get this novel finished as the characters for the next one are already screaming in my head! I’m a big believer in people being stronger than they think they are, and also a believer that when things are going badly then they can only get better. It feels really good to be getting back into believing this whole heartedly. Yes we might be skint (after the car repairs) but at least we have enough to pay the bills, and yes there have been moments of panic, moments I have doubted my strength to cope with everything but I have managed to cope regardless, and it’s with the support of all of my friends and family who have been fantastic. Someone paid me a compliment the other day, the person said that I was genuinely nice and kind, and after I blushed, it made me realise that we don’t take compliments very well, and it’s possibly because we don’t receive them very often. I decided to embark on a facebook assault and give compliments to people from my friends list – something which I have done every day since. 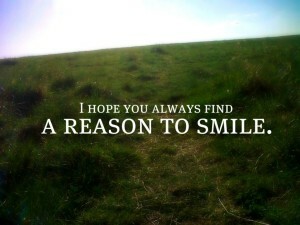 Sometimes, it’s worth realising that we are the ones who can give support or let other people smile. So now, as well as focussing on doing the things that make me happy, I intend to do more of the same for others wherever I can. Anyway, keep fingers crossed that good things come of my latest submissions, I know mine are firmly crossed! 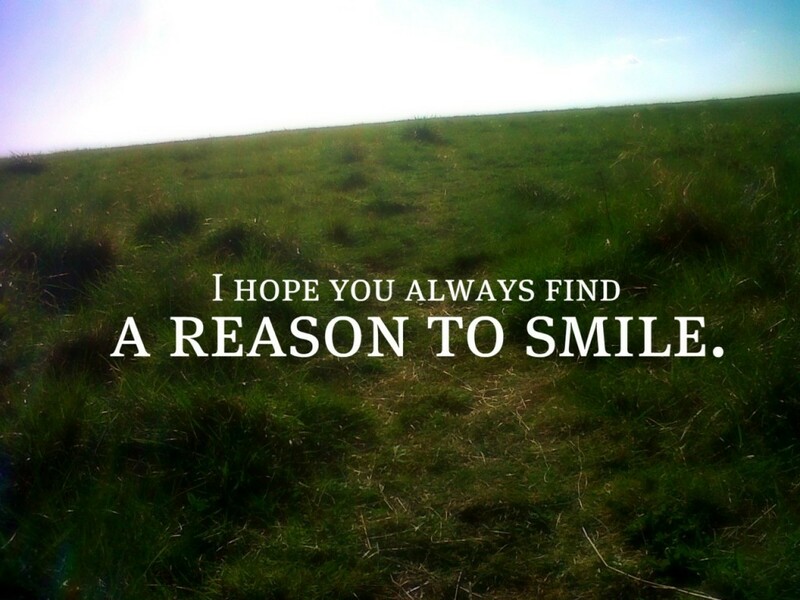 Smile at that stranger in the street, help the little old lady across the road, and most of all, keep your chin up and see the sky not the floor 🙂 Keep smiling folks, til next time. This entry was posted in Blog Posts and tagged author, blogger, crime writer, crime writing, Networking, social media, writer, writing on July 31, 2014 by Kerryrichardson77. I chose the above quote for this blog as it’s been hard for me to do this since my last blog. You probably recall me saying everything was starting to calm down last time, well unfortunately this turned out not to be the case. My brother, Michael, was thought to be on the mend as of the last blog, but a week gone Sunday his condition worsened dramatically. He was blue lighted over to another hospital for immediate surgery as his shunt had blocked – Michael has spina bifida and hydrocephalus – hydrocephalus is basically water on the brain that doesn’t drain like it does in you or I. The fluid builds up and then causes adverse pressure on the brain. The operation was to drill into Michael’s head to relieve the pressure and fit a drain until he was strong enough to replace the shunt. The shunt is a silicon tube that runs from the head to the stomach to drain the fluid. He was critically ill in intensive care for several days before being moved to the high dependency ward. He managed to contract a virus too so they couldn’t operate until Monday this week, when they replaced the shunt. Tuesday came and they realised the shunt was twisted, so had to operate again on Wednesday to adjust it – so the poor lad’s had 3 major operations in 9 days! It’s obviously been taxing for me and mum, the running up and down to the hospital extremely exhausting in itself. For me, the whole thing, including nearly losing my brother, has been really stressful, and coupled with everything else I’ve had going on lately, has resulted in me being signed off from work. I’ve found myself getting knots in my stomach at the thought of any confrontation, worrying constantly that something else will happen, feeling afraid when there really wasn’t any need to, and not being able to switch off my brain but equally being so exhausted that despite this I’ve managed to sleep. The tiredness has been so strong that as soon as I wake up I feel like I could sleep again (and yes I’ve been back for my blood tests now) – I’ve been stressed before but never to this extent. As I say, not a good couple of weeks. I guess I’m sharing this as a means of both venting, and also to make people aware of such things. Stress, depression and anxiety are all very real, and though I suffer depression, I’ve never really felt the stress to this level. It’s exacerbated other medical conditions too, PMS has been insanely bad (apologies to male readers but again this is real! ), I’ve been getting three times the normal amount of migraines I suffer in a month, my IBS has been playing up – this isn’t meant to read as a pity party – I’m merely pointing out that stress can impact on other issues too. I felt, and still feel, like I couldn’t cope with work at the present time, so the doctor kindly signed me off and provided me with the details for counselling etc, as have work. My mum looks absolutely shattered, and she admits she’s as tired and stressed as I am which isn’t like her – normally she’s the ‘everything’s fine’ type. Michael is on the mend now, and looked lots better yesterday – even got into his wheelchair so we could take him downstairs for a cuppa, though he does look a little like Frankenstein’s monster bless him – scars, stitches and cuts all over him the poor lad. Am very glad that he’s starting to feel better – we have our differences and don’t always get along, but he’s my brother and I love him. Well that’s it for this week – I won’t apologise for the honesty in this blog but I understand it may upset some people – if you are feeling stressed, depressed or anxious, please see your GP, or try contacting someone like MIND or SAMARITANS for a chat. Remember, like me, you are not alone. Keep your chin up and look to tomorrow. This entry was posted in Blog Posts on July 4, 2014 by Kerryrichardson77.